exterior) demonstrate the fun personality of this vibrant modern city. With a growing population of over three million, many like-minded outdoor enthusiasts, Denver is the hub to some of the best and biggest places to enjoy your favorite winter sports (and in the summer, catch a baseball game at Coors Field.) When the weather's good (which is usually is), walk around the boutique shops of Larimer Square, or tiptoe through the tulips in the Botanic Gardens. (16C) in April and stay warm through late October, which provides the perfect climate for getting outdoors under the blue skies for a hike or a picnic. Fall plays host to a number of popular annual festivals, many of which include imbibing (beer, wine, etc. ), but do bring layers, both to put on when the weather gets chilly and to take off when the beer sweats kick in. 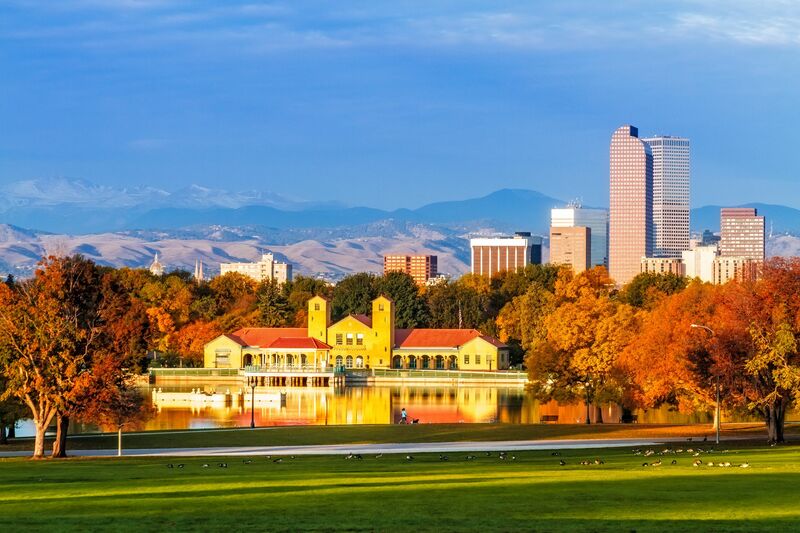 Denver is a wonderful place to live, work, and play. No matter the season, there is ALWAYS something to see or do. Spring there is hiking. camping, and basketball. Summer there is hiking, camping, whitewater rafting and baseball. Fall there is hiking, camping, leaf peeping and football. Winter there is snowshoeing, skiing, snowmobiling and hockey. Year round there are many awesome museum to explore. If you are not accustomed to the altitude then take it easy and drink plenty of water.